In April, Namibia’s Bank Windhoek launched GoPay, the first mobile payment system for fuel purchases in the country. The cashless solution, offered in partnership with fintech Wizzit International, lets customers pay for fuel via their phones; and it includes several convenient features, such as the ability to pay remotely for someone else’s fuel—even if the person is on the other side of the country. It’s not the first such move on the continent: In January, Vivo Energy, Shell Oil’s Africa licensee, adopted Orange Money for fuel payments in Mali, Côte D’Ivoire and Madagascar, and plans to expand the service to another handful of African countries by July. Wizzit has partnerships with 10 banks in Africa to provide mobile payments infrastructure. In contrast, also in April, as Windhoek was happily preparing for the launch, South African banks were getting hammered by the ratings agencies. First S&P, then Fitch downgraded South Africa’s banks to junk status—a natural outgrowth of having downgraded the nation’s sovereign ratings, and directly attributed to choices by its political leaders. Yet offshore investors eagerly snapped up South African bank shares in the days immediately following the rate cuts, as valuations improved relative to peers and to historical earnings. These two events showcase the forces at play in determining the future of African banking: the role of technology, particularly mobile technology; the need to partner with agile fintechs; the expansion of local players to regional, continental and even global levels; the impact of changing demographics and the desires of the customer base; the ongoing struggle for good governance; and last but not least, the actions of outside investors. In Africa, with its huge population of “unbanked” and sometimes-vast distances between towns, mobile will unquestionably be central to the future of banking. The next phase of banking in Africa will be characterized also by the rise of regional banks and the emergence of bigger institutions, as the industry moves toward oligopoly. In the emerging scenario, technology serves as the backbone: Banks will deploy it to serve their customers and use it more to fight terrorism, fraud and money laundering—three forces that now threaten the sustainability of the banking system. 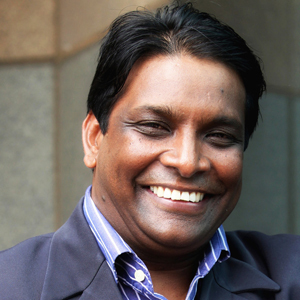 Chaytoo, Rand Merchant Bank: With growing competition, efficiency and innovation have thrived. 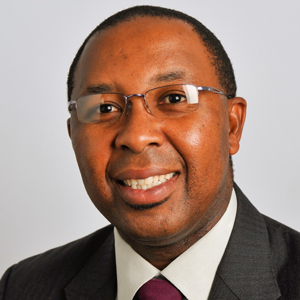 “We believe technology and innovation will be a greater influence in the future for banks and banking in general,” says Kenny Fihla, deputy chief executive for corporate and investment banking at Standard Bank. Increased demand for banking technology will come from various sources, including changing demographics, Fihla explains. He cites a 2012 report by Deloitte that said Africa’s middle class had tripled in the last 30 years. The report further estimated the middle class will grow to 1.1 billion, or 42% of the population, by 2060. Given these demographic changes, the requirements of clients (individuals and companies) have become more complex, resulting in the need for more-sophisticated and innovative service offerings and products. Africa’s changing business environment presents an opportunity for banks to use communication technology to deepen mobile banking on the continent. This has the potential of increasing financial inclusion by extending financial services to the underbanked and unbanked through the convenience of their mobile phones, says Fihla. Use of mobile banking technology presents a win-win opportunity for banks and telecom companies; because, according to him, industry trends indicate that customers on the continent are increasingly looking to use alternate delivery channels in addition to branches. “Mobile banking is transforming the way African citizens work, live and do business,” says Richard Attias, founder and executive chairman of the nation-branding and global communications consultancy firm Richard Attias & Associates. Attias, Richard Attias & Associates: Mobile banking is transforming the way African citizens work, live, and do business. But with the understanding that fintech means substitution of electronic or cashless transactions for conventional cash transactions, traditional banking should not be threatened by the entrance of the new service providers, says Leo Ukpong, professor of Financial Economics at the University of Uyo in Nigeria. Use of cashless facilities should speed up economic transactions, reduce operating costs of banks, reduce the opportunity cost of households’ carrying idle cash and speed up the rate of economic activities, he contends. Full deployment of technology in the banking industry calls for closer partnerships and tie-ups between telecom companies and banks, says Fihla, but a number of questions need to be addressed. These include the potential constraints on sharing customer data, and how far banks and telecom operators can go with service offerings. 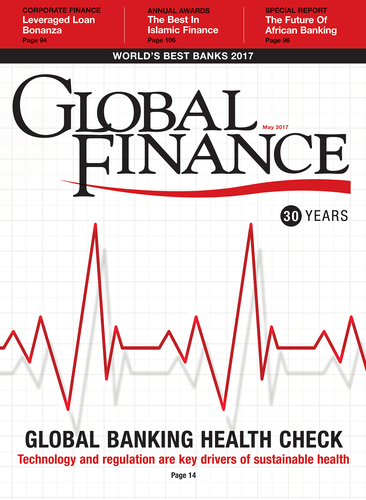 For now, traditional banks are looking at making significant investments to replace their legacy systems and to meet customers’ increased expectations that have been created by fintechs.However, traditional banks are aware that a focus by fintechs on improved cost efficiency, increased speed and more-modern platforms still needs to be weighed against regulatory requirements. It is likely that the rise of fintechs will also bring greater scrutiny from the regulators. Regulation will play a key role in Africa’s banking system going forward. “One of the things that investors are looking for is not just good infrastructure, but very strong and well-regulated financial institutions,” says Suresh Chaytoo, sector director, Banks and Development Financial Institutions, Rand Merchant Bank, South Africa. Regulatory issues include money laundering, interbank transactions, capital requirements, corporate governance and foreign owners’ participation in domestic banking. Ukpong describes some African countries—notably South Africa, Egypt and Nigeria—that have devised “adequate” regulatory frameworks to guide healthy banking activities in their respective countries and around the continent. The challenge facing the industry is how to enforce these regulations, Ukpong says, in the face of weak institutions, corruption, and interference from the executive arms of most governments. Enforcement of regulations can be improved through collaboration among regulators and supervisors, as well as engagement with regulators, says Fihla. He notes that in the East African region, there is already a model for harmonization of banking regulatory and supervisory data of different countries, which is useful to financial institutions that have cross-border banks, he says. The regulation with the greatest impact on the sector, however, is likely to be capital requirements. Banks will be required to invest more capital to acquire the technology needed to combat crimes such as money laundering, fraud and terrorism. Such requirements will bring more constraint on them, says Chaytoo. Ukpong adds that he expects capital requirements will also lead to consolidation and the emergence of a few large banks dominating the African banking scene. Successful African banks are both growing and expanding. Chaytoo believes that regionalization has become a prominent part of African banks’ strategies, as these historically local players continue their ongoing search for growth and a way to diversify their earnings while competition increases in their home markets. About 15 bank groups are now present in countries outside of their home jurisdictions, he says. “For the first time, the indigenous local players are actively competing effectively against foreign, and some of the more dominant South African, banks on the continent,” he notes. “With growing competition, efficiency and innovation have thrived, which makes the African banking space an exciting prospect for the future,” he explains. Fihla, Standard Bank: Fintechs do seem well poised to give traditional banks a run for their money. Examples of successful regionalization in the African banking industry include the expansion of Kenyan banks—such as Kenya Commercial Bank, Commercial Bank of Africa, Equity Bank and Co-Op Bank—into Kenya’s neighboring countries in East Africa (South Sudan, Tanzania, Uganda, Burundi and Rwanda). In South Sudan, banks like KCB, for example, have had first-mover advantage and are now part of the biggest banking groups in the country, says Chaytoo. Also helping bank regionalization is the growth of regional trading hubs between the port cities of Mombasa in Kenya and Dar es Salaam in Tanzania, and between inland countries such as Uganda and Rwanda, opening opportunities for banking products and services. Beyond regional banks, Chaytoo points out that another emerging trend is banks crossing regional boundaries and venturing further afield to take advantage of high-growth markets. An example of this has been the rapid expansion of some Nigerian banks across Africa. They include United Bank for Africa (UBA), First Bank of Nigeria, Access and Zenith, which now have an extensive presence on the continent. In West Africa, Moroccan banks, traditonally active in North Africa, have taken the lead in buying stakes in several domestic banks, thereby creating scalable franchises, according to Chaytoo. Lagos-based UBA operates in 19 African countries, including Nigeria—and also in France, the UK and the US. In April, it announced a 21.1 % increase in profit after tax for year 2016. African subsidiaries contributed a third of the group’s earnings for the period, the bank said. So far, African banks are benefiting from their expansion in the continent: Earnings are steadily growing, and franchises are being built across Africa. A core theme that is emerging as part of this recipe for success is the successful integration of local talent with home-country expertise. African banks are becoming more professional, which has helped them generate more profits; and it has enabled them to reach a wider number of African citizens, says Attias, who happens to be a former organizer of the Davos World Economic Forum. “In the last few years, African banks have also adopted a pan-African development strategy that is helping to shape and accelerate their growth,” he says. However, going forward, regional expansion will become more difficult and expensive for new entrants that do not have an existing presence in African markets, Chaytoo notes, unless they are prepared to pay a handsome premium to acquire a regional banking franchise. For those that have already taken the risk, it’s an exciting time.